If we feel happy and contented, enjoy life, maintain a curiosity about our world and engage meaningfully with that world, then we are experiencing the sense of wellbeing. Those with a strong sense of wellbeing will have control over their lives and a sense of purpose. How many of us realize that dogs can be a powerful contribution to the health and wellbeing agenda? 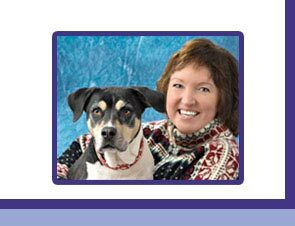 Well, Dr. Risë VanFleet, founder of the ‘Playful Pooch,’ has certainly done so. Check out the Playful Pooch for lots of information on animal-assisted therapy and play therapy. Dogs really can restore a sense of wellbeing to our lives.